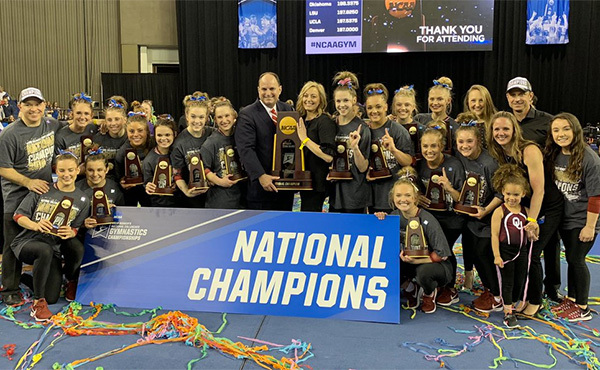 PESARO, Italy, April 6, 2019 – Evita Griskenas of Orland Park, Ill./North Shore Rhythmic Gymnastics Center, finished in sixth place in the all-around at the 2019 World Cup in Pesaro, Italy, at Adriatic Arena. She qualified for the hoop, ball and ribbon event finals tomorrow, the World Cup’s final day of competition. 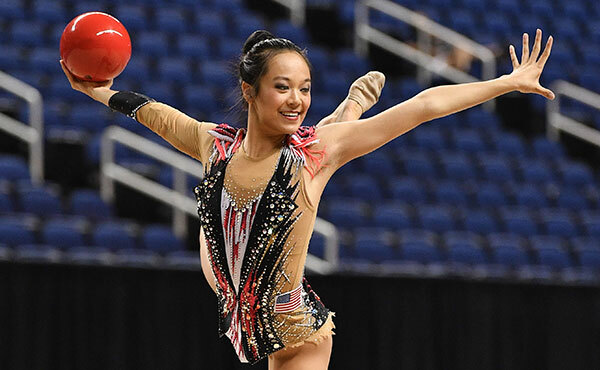 Griskenas tallied a four-event score of 78.700 for sixth, and Lili Mizuno of Northbrook, Ill./North Shore Rhythmic Gymnastics Center, was 35th at 68.000. Russia’s Averina twins battled for the gold and silver medals, with Dina emerging as the all-around champion at 85.750. Arina Averina was second at 83.750. The bronze medalist was Bulgaria’s Kaleyn Boryana at 80.400. On the first day of qualifications, Griskenas was sixth in hoop at 20.600 and a trip to the finals. Mizuno earned a 16.550 for 42nd. For ball, Griskenas earned at 19.850 for eighth and a spot in the finals. Mizuno tallied a 19.300 for 13th. Russia’s Arina Averina posted the top scores for hoop (22.050) and ball (21.400). In the group all-around, the USA was 12th at 40.400. Russia won the title at 51.050. 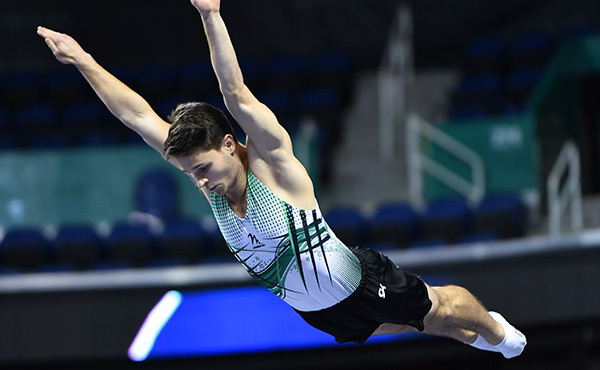 Bulgaria edged out Italy for the silver medal, 49.600 to 49.400.The U.S. group claimed a 22.250 for ninth out of 18 groups in the 5 balls qualifying round. They are the first reserve for the finals, after finishing ninth via a tie-breaker. Russia had the highest mark for 5 balls at 25.250. For 3 hoops/4 clubs, the U.S. finished in 14th place with an 18.150. Russia won the qualification round at 25.800. The competition schedule is: April 7, individual event finals – hoop and ball at 2:10 p.m., 5 balls at 3:15 p.m., clubs and ribbon at 4:05 p.m., and 3 hoops/2 pairs of clubs at 5:10 p.m. 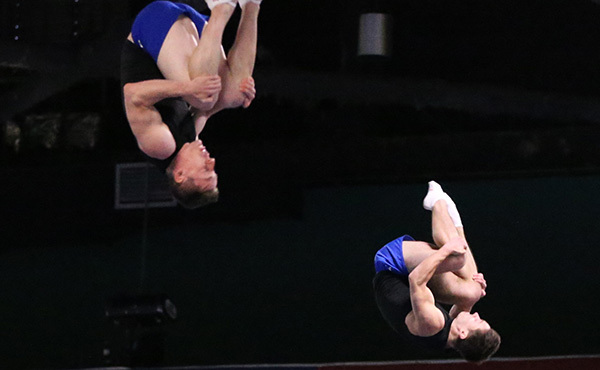 The all-around competition serves as the qualification round for event finals. All times listed are local to Pesaro, which is six hours ahead of U.S. Eastern time. The event has live scoring, and more information is available on the event website. 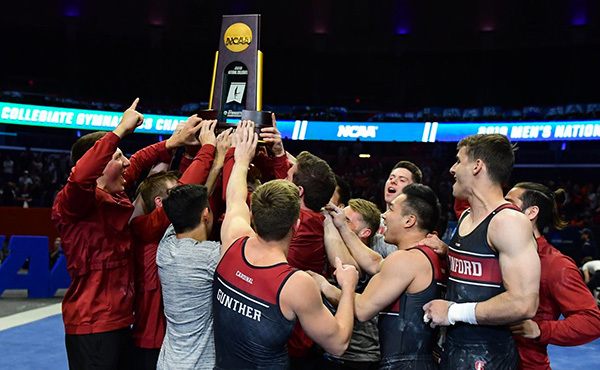 U.S.-based fans can follow the competition watch the event finals live on the Olympic Channel website and televised on the Olympic Channel at 5 p.m. ET, with a simulcast.